Doctor Moore sells babies to the richest infertile couples in the world. He helps them give birth to bright, healthy, talented, children well prepared to take their place in elite society. Jacob and Roslyn Kemp, members of Hollywood’s jet set, have every luxury money can buy except the ability to conceive a child on their own. The mysterious Kakoa Fertility clinic has promised them to give them exactly what they want with no red tape. No need for lawyers and no worrying a donor will change their mind. The Kemps can finally give birth to a baby of their own in nine months, just like everyone else. But Doctor Moore always gives his patient’s far more, and far less, than they bargain for. Jacob and Roslyn are about to discover that when some dreams come true they turn into nightmares. 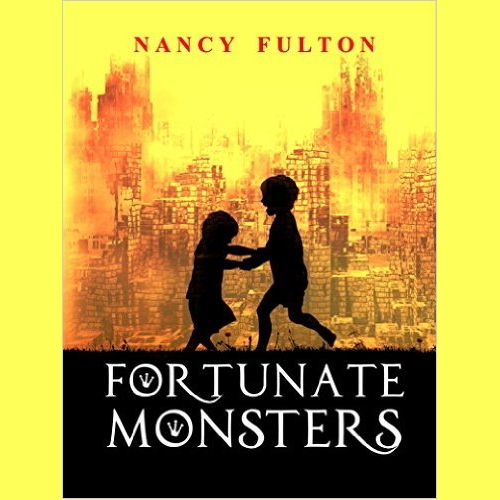 Fortunate Monsters, a thrilling adventure in human engineering, a mother’s love, and murder. Nancy Fulton is a writer/producer living in Los Angeles California. Through NancyFultonMeetups she runs support 5000+ writers, actors, and filmmakers with weekly events. With actor Judd Nelson she is author of The Nine of Diamonds, The Gig, and Water Music, among other works. You can learn more about her through Linked In.